Our work at Innovations in Dementia supports people with dementia to keep control of their lives, and be happy. People with dementia are at the heart and start of all our work. Working alongside them, we promote a positive, though realistic, view of dementia, demonstrating that, although it is life changing, it does not have to be life ending. Indeed people with dementia are showing us all that they can recover – by which we mean that they can recover voice, control, identity and a place in their relationships and communities which often gets lost. So what glimpses of the future of ‘social care’ can we offer, based on the work we do and the people we work with? Well first of all, the very phrase ‘social care’ ties us up in knots, and acts as a huge barrier to new and creative imaginings. It carries heavy overtones of passivity, of being ‘done-to’ and ‘cared-for’, of tasks not processes, of institutions not relationships. It ignores the power of reciprocity. It is grounded in an artificial and unhelpful dichotomy of means-tested social services versus free-at-the-point-of-delivery ‘continuing healthcare’; of grey areas such as ‘social bathing’ versus ‘health bathing’; of the very different cultures of the NHS and the Local Authorities. Focus on assets, not deficits, and quality of life. Acquired brain injury rehabilitation immediately post-diagnosis, which includes exercise and other lifestyle changes in line with other chronic diseases, speech pathology, a neuroplasticity approach, occupational therapy and neurophysiotherapy. Disability assessment and support, immediately post-diagnosis. Grief and loss counselling, not just information about dying, aged care and ‘challenging behaviours’. Peer-to-peer support groups for people with dementia, our care partners and families, and for those with younger onset dementia, our older parents and our children. Support to maintain our pre-diagnosis lifestyle, if this is our choice. Support to continue working if a person with younger onset dementia, again if this is our choice. Support to continue usual activities, socialising, sport, recreation, community engagement, volunteering. Inclusive and accessible communities – not just dementia-friendly, as too often the awareness-raising initiatives are still based on our deficits. Our work with many hundreds of people with dementia across the UK – through initiatives such as DEEP (The UK Network of Dementia Voices), the Dementia Diaries and Dementia Enquirers – very strongly supports this vision. 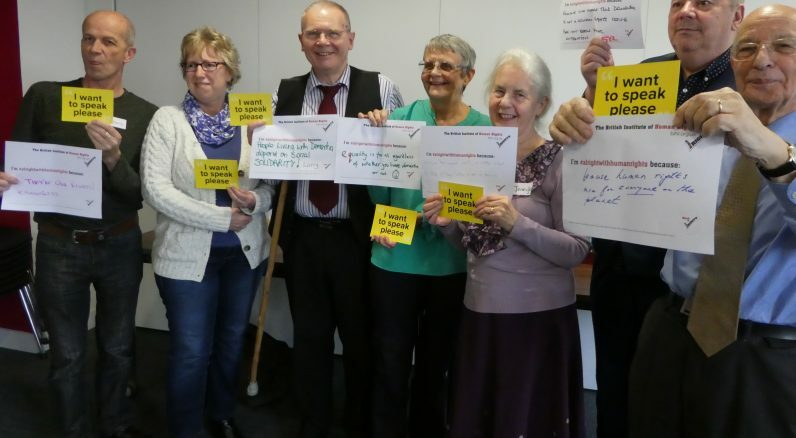 People with dementia are stating loud and clear that many of the barriers they face day to day are social, environmental and attitudinal – just as the wider disability movement has been saying for so long. They are also demonstrating that – surprise, surprise – they can adapt and adjust to (even ‘outmanoeuvre’) many of the challenges they face, and can contribute their skills and expertise in so many ways. So how about reframing social care as something like ‘Citizen Enablement’? That may not be the perfect terminology – but at least it highlights both our universal human rights to be supported and included, and also our capacity for ‘recovery’ and re-ablement – even when we live with a condition such as dementia. The future of ‘social care’ for people with dementia cannot be the social care we know, with its users, its providers, its commissioners, its regulators, its policy-makers and its legislators, all firmly in their different camps. It must be a collaborative social movement which really enables citizens, founded on the voices of those with the lived experience, on the principles of independent living, on choice and control, and on recognition of human rights. It must be proactive, not reluctantly and belatedly reactive. It must be fair – not shaped by ageism and sexism. It must be simple, accessible, affordable. It must be of a human scale. It must be based on the ‘social experience of disability’ and draw on the skills of occupational and other therapies. It must focus on confidence building, not compliance. It must be proud, assertive and value-based. I had just moved into a new house in Tottenham. There was a Large Swedish Home Furnishings shop nearby, and I was keen to try out the idea of flat-pack furniture for the first time. I’d get back with my large box. Unpack it. Lay out all the bits of wood, screws, plastic plugs and metal thingamyjigs. Then I’d open the instructions. That’s when my problems would start. The instructions appeared to have been written in Swedish, then translated into Urdu, then from Urdu into English. By someone who spoke no Urdu, no Swedish, and certainly no English. In fairness to Large Swedish Home Furnishings Companies – their instructions have improved enormously in recent years. 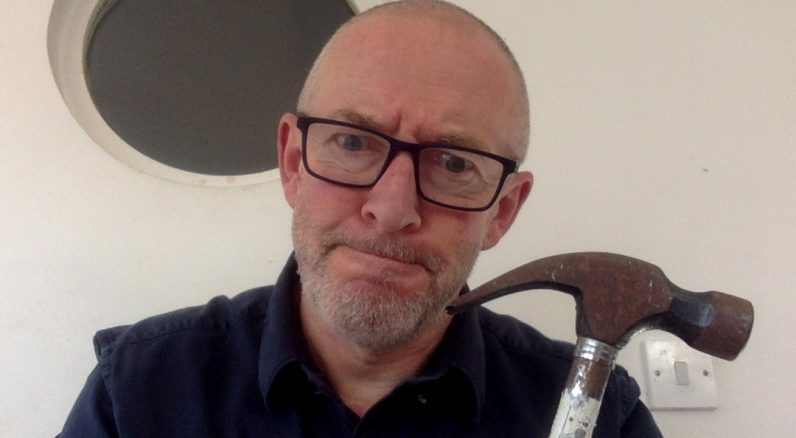 I can honestly say I haven’t smashed any of their stuff to bits with a hammer for, ooh, ages. I wish more companies would listen to their customers complaints though, and really think about how they explain things. After all, we are much more likely to buy something or use a service if we understand what it is and how to use it. You’d imagine companies and organisations would be falling over themselves to be clear in their messages. But no. From bus timetables to self-service checkouts in supermarkets we are bombarded by messages and instructions that seem to be purposely designed to make our day just that little bit harder. “UNIDENTIFIED ITEM IN BAGGING AREA”!!! The merciless torturing of the English language aside, what on earth does it mean, and what I am meant to do about it? Of course, most of the time we can work out what things mean. We just damn well shouldn’t have to anywhere near as much as we do. 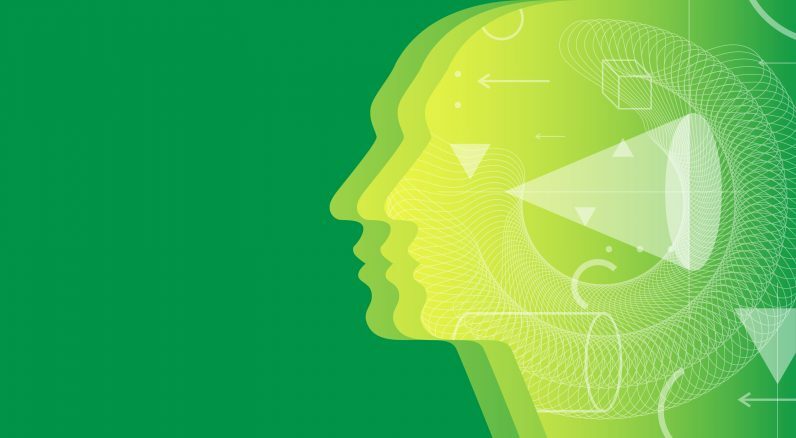 …..and it’s not just one thing of course – as we go through our day we encounter these little challenges over and over again – each one of which adds another little bit to our ‘cognitive load’. Each makes our day that little bit harder, bit by bit, message by message. They might seem like little things, but together they weigh us down. The onset of dementia can make it even harder for people to translate bad information. This can make it harder to people to get out and about, and to do many of the things the rest of us take for granted. These can be very real barriers for people. The badly designed bus timetable that meant someone got on the wrong bus and got lost, or went home having failed to work out what to do next. The shrieks of outrage from the self-service checkout, devoid of either meaning or direction that sent the would-be customer scurrying out of shop, mission unaccomplished. We know what can happen when we begin to struggle, or fail in certain tasks. It means we are less likely to risk failing again, and stay home where it is safe. We disengage. Many people with dementia have told us that a single incident like this can send them into a tailspin and have a huge impact on their confidence in their ability to interact with the world. They disengage. How much easier would life be for all of us of if things were just a little bit clearer? This is why, a few years ago we worked with a small group of people with dementia to write guidelines on writing dementia-friendly information. Since then we have used them to produce dementia-friendly materials for lots of events and organisations, from conferences to lay summaries of academic papers. What is very striking though is that not only do people with dementia find these versions easier, so does everyone else. We first realised this when we produced a dementia friendly timetable for a conference. We had to go across the road to a photocopying shop for more copies as they had all been snaffled up in preference to the main conference timetable. We can see the impact we can have by making things just a little easier for everyone. That is why we are working with people with dementia on a new service called Crystal Clear. Crystal Clear will help organisations to produce information that is easier for everyone to understand. We have already started to work on some documents for another dementia organisation – and people with dementia are proving hugely insightful into the changes that need to be made. When we are finished, I want to revisit the guidelines we wrote about dementia friendly information. They were written a few years ago, and things have changed. We’ll be involving the whole DEEP network in a discussion about the challenges that people face in understanding written information – and this will help us to provide better guidance to others. We believe that people with dementia have unique insights and understanding of how to make the world an easier and better place for everyone. My dear friend Lynda Hughes once said to me “people with dementia have a wisdom that I don’t see anywhere else. They can save the world”. Sometimes as the messages from mobile phones, computers, video screens and the Daleks inside self-service checkouts swarm around my head I am reminded how right she was. I’ve just been reading some excellent material by Swarbrick et al (1) and Morbey et al (2). It covers work that has been going on to ensure meaningful involvement and inclusion of people with dementia as co-researchers rather than as subjects of research. There is a powerful recognition of the need for a move away from ‘researching on’ to ‘researching with’. This has been recognised too through an award from the National Lottery Community Fund for the Innovations in Dementia project, Dementia Enquirers – where people with dementia within DEEP (the UK network of Dementia Voices) shall be equipped to develop their own research questions; lead on their own research ideas; and create their own research methods. It sounds ambitious and it is. Scary too! The language of academia has evolved and developed over centuries – not, as some critics may believe, to bamboozle the uninitiated and to maintain a magic, a mystique and an air of superiority and uber intelligence over the rest of us mere mortals – but rather as a short hand. It may be hard to believe to a lay person like me, but a lot of those long words are in fact a short hand – a language of convenience amongst academics – actually to be succinct! There is a growing movement of people with dementia with a new (or a louder) voice that is now seeking, rightly, to take ownership of research under the ‘nothing about us without us’ rallying call. Indeed, as my friend Paul, a member of York Minds and Voices, said several years ago now, ‘If you’re doing research about dementia and you don’t include people with dementia, then you’re wasting your bloody time’. But it’s not that simple. Entering this world, deciphering studies and literature already created in essentially another language, with a limited capacity to learn this new language, is not going to be easy. I speak ‘pidgin academ-ese’. Certainly not fluent, but good enough to get a point across, ask a question and try to plan something or test out something. But I’m still bamboozled by a lot of academic reports I come across (just look at the title of the two articles I have referenced at the start of this piece!). I skim quickly to the executive summary or the conclusions section in the hope there is a simple message or finding that I can cling to. One can understand a trepidation at no longer being amongst those peers who ‘get’ their shorthand created over centuries; that they might be slowed down by the pain of having to accommodate a new cohort in their midst. But accommodate they must! My kids tell me Latin is dead and look to the heavens when I state the contrary, but I must point out that ‘accommodate’ is indeed from the Latin ‘to make comfortable’. So, making comfortable is NOT a pain at all and that goes for both sides. The inclusion of people with dementia in research is not about usurping power or knowledge, it’s about collaboration (from the Latin, ‘working together’!). No-one expects someone to enter a new culture and to speak the language fluently, nor should that language or culture be disabling. But we can find a comfortable space. I got thinking about an equivalent ‘comfortable space’ I came across years ago, as a young nurse in learning disabilities. People with communication difficulties were not excluded nor expected to be fluent, but the brilliant and simple MAKATON language system (3) helped create many positive connections. This method involved the use of signing only key words in a sentence to facilitate communication. So, we must ask ourselves, what is the MAKATON equivalent for people with dementia to engage, to ask a question, to test a question, to explore ways of measuring and carrying out those tests and questions? The Dementia Enquirers project will no doubt go a long way to contributing to a necessary and an inevitable change in the language around research. By Damian Murphy, Director, Innovations in Dementia. (2) Morbey et al (2019) Involving people living with dementia in research: an accessible modified Delphi survey for core outcome set development. As a director of Innovations in Dementia, I am involved in a range of different projects, but one important part of my work is to help facilitate the Minds and Voices group, part of the DEEP UK network of dementia voices. Last month at Minds and Voices we created a constitution. It’s no big deal really. Loads of other such groups have done it – in fact we drew on some of their documents. Here is a brief piece covering why and how we came to produce our constitution together. Essentially the money is beginning to run out! We are very much an independent group and we are not (yet!) hosted by a local authority; by a local mental health trust; nor by a local third sector group. So, without that back up we need to raise funds to pay for transport, back office administration, facilitation time, catering and venue hire each month. By gaining an official status, we will be able to bid for a wider range of funding, not only to keep us going but also to help us co-create and join in more projects. We haven’t just thought the words up on the spur of the moment for the sake of creating a constitution. In fact, we’ve really been creating a constitution for 4 years now since when we chose our name and strap line. Opening minds and moving forwardcaptured our aims to open the minds of our local communities by sharing and demonstrating the positive message that people can live as well as possible with a diagnosis of dementia. There was a real keenness to be as informally formal as possible. We adapted a version of the SURF DEEP group constitution and together spent a whole meeting going over it with a fine-tooth comb. Everybody was able to contribute in their own way (even those who were absent on the day) checking the broader general statements; avoiding repetition of words; ensuring every comma was in the right place (a particular gift of Stewart’s! ); re-phrasing sentences, making them clearer or even omitting chunks too as we aimed to keep things simple. We had debates about voting rights and capacity. Although several care partners regularly attend and contribute to the group, we were clear that if ever we held any votes, only members living with a dementia would participate. This led to talking about members who might become more dependant and incapable of making decisions. What helped here was the fact that over 4 years we looked at how we have enabled people of all capacity for a long time. From experience we all knew that everyone can contribute in many ways though not always in every discussion and that was fine. Damian had met with the helpful advisor at the local Council for Voluntary Services who told us that in fact one does not need to have a named chair, secretary or treasurer in a constitution so long as the group ensures these duties are carried out. This was a relief to everyone and, when we found out that becoming a Charitable Incorporated Organisation meant that there would be no financial liability on members either, we went for it. The advice we received matched that laid out in the very helpful draft DEEP guidance on becoming an independent group that had been sent through to us. At Minds and Voices we created a constitution. It’s no big deal really. Then it was time for a well-earned lunch! 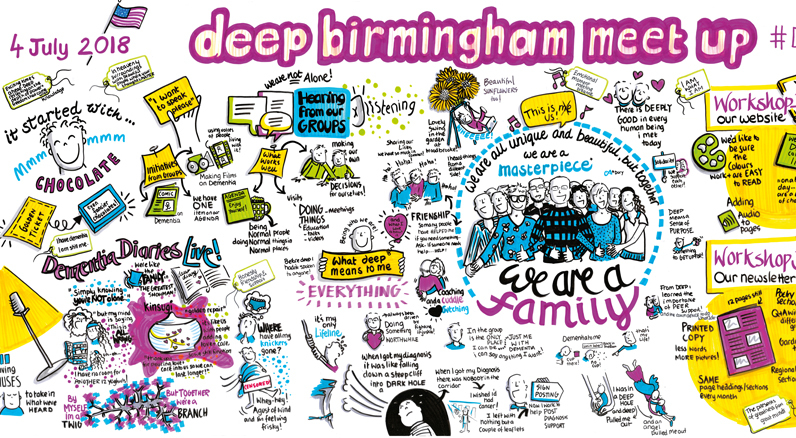 At this year’s Dementia Congress in Brighton I sat alone and listened to the Tom Kitwood Memorial address – a rare opportunity amidst a mighty presence and input by people with dementia via the DEEP network. I found myself reflecting on my 20 years working in the dementia field, being inspired by Kitwood’s work as a bright young thing in 1998 in my first ‘proper’ job, supporting long term, citizen advocates for people with dementia living in care homes in the London Borough of Greenwich. People who had no-one else in their lives to speak up for them and with them. Our volunteer advocates stood side by side with people, finding ways to collect and honour wishes, hopes and feelings, when verbal communication was impossible to articulate. Side by side at very difficult times of transition, following crisis and trauma. Side by side looking towards end of life and death. Fast forward 20 years and I’m still working in dementia. I can’t imagine being anywhere else. At Dementia Congress people with dementia were front and centre stage, running as a golden thread, with family carers, throughout this conference. But, of course, these people are few in real terms, and the experiences of the remaining population of people with dementia are many. I recall my colleague Steve Milton, when leaving his 8 years of running the Alzheimer’s Society’s dementia helpline, reflecting with huge sadness, that while he’d personally spoken with some 30,000 people affected by dementia, in real terms the numbers, especially of people with a diagnosis of dementia were pitifully small – “what about the rest” he asked? But the danger of focusing on the hugeness of the task just paralyses us. Similarly, dismissing activists with dementia as ‘unrepresentative’ does not help to bring the voices of people who are considered to have more advanced dementia to the forefront, nor does it recognise the ever steeper mountains they climb away from the spotlight. 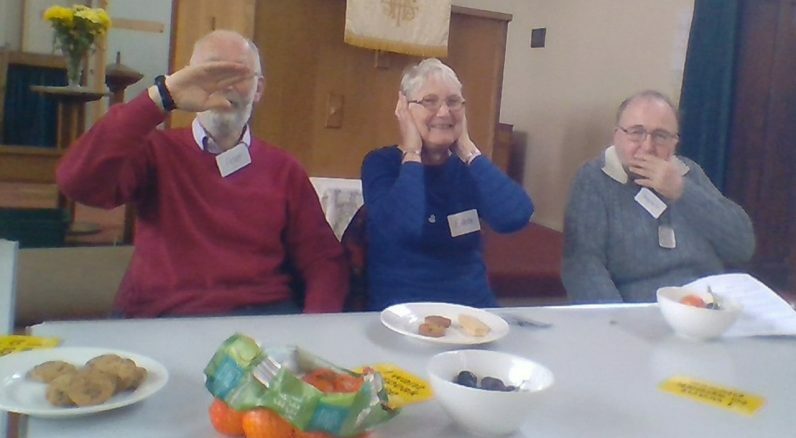 As Fran Hamilton, an Occupational Therapist and co-ordinator of the newly formed D-Mob group in Brighton reflected about the engagement of people with dementia: “There isn’t finite room, only an ever-expanding space for the voices of people living with dementia. This is how the landscape is changing and we get to end stigma.” DEEP is full of quieter voices, people who live in care settings, people who have had dementia for many years, people who have more advanced dementia, and are sustained by their families, their networks and their DEEP groups. I’m so proud to see a network of and with people with dementia flourish and grow. DEEP isn’t the only network and it isn’t the only way of working. I don’t think anyone at Innovations in Dementia or within a DEEP group would say it is. But I’ve learnt such a lot from the hundreds of people with dementia I’ve worked with – echoes of their voices whisper to me at times of doubt, none louder than Lily, my grandma who, when living with advanced dementia in a care home addressed my 16 year old self to “never forget that I’m still in here.” With our recent Big Lottery funding we will be ‘capturing the story’ of DEEP groups for the next 18 months. Marking hundreds of moments in time and recording legacies with people with dementia. It’s just a moment though. There is so much growth still to come. I’m honoured to have recently been nominated and accepted as a Fellow of the Royal Society of Arts– with its mission to enrich society through ideas and action. Innovations in Dementia is a tiny organisation of committed people. We can’t do this alone and have never claimed to do so. We want to inspire different conversations about dementia and hope you will join with us in constructive and respectful discussions. The space available for social change is infinite. Why are design and the environment of such importance to people who are living with dementia? The first is that the experience of living with dementia can only be understood within the social model of disability. That is to say that, while the clinical symptoms of dementias can have a big impact on the way we function in the world, society and the world itself also throw up many barriers. The social model teaches us that by removing these obstacles – whether they are physical or attitudinal – we can make the world an easier place, not just for people with dementia in fact, but for all of us to live in. The second principle is that good design is fundamentally about inclusion and accessibility – and accessibility is a human right, as enshrined in the United Nations Convention on the Rights of Persons with Disabilities (UNCRPD) and also the Equality Act. Dementia is a disability under the definitions of these instruments – and accessibility is covered in many of the UNCRPD Articles, including Article 9, Article 19 and Article 20. However, we know that people with dementia are expected to function in environments which are overwhelming and oppressive for them – and that, when they don’t and can’t, this is seen as due to the dementia rather than to the environment. And it’s not just about buildings – many people with dementia find information inaccessible e.g. too complex or only online, and this again excludes them from their human right to be part of society. These clear examples of discrimination contravene their human rights. And the third principle is that of co-production with people with dementia. Over many decades we have been guilty of carrying out research, or designing environments, policies, and practice, without proper involvement (or sometimes any involvement) of the people most affected. This is now changing – indeed people with dementia are starting to insist that it does so. And they are rightly pointing out that their expertise, gained from the day-in-day-out lived experience of dementia, must be respected and used in partnership with the technical/ professional expertise of ‘design experts’. 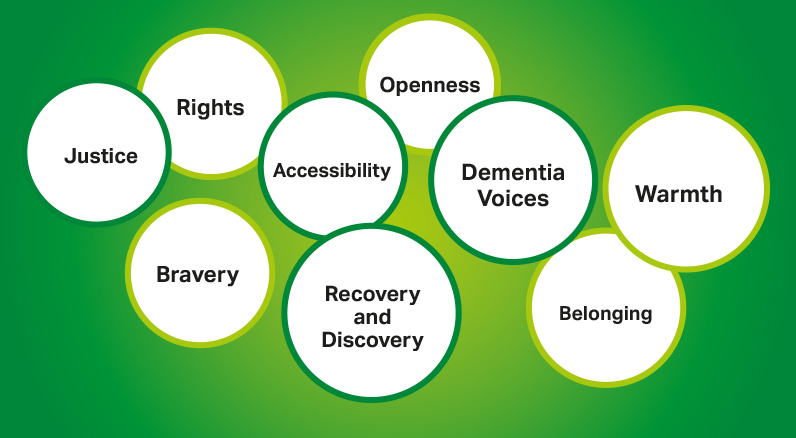 My talk at the Environment and Design for Dementia conference on 29 Nov 2018, hosted by Salford Professional Development, will flesh out these principles, and will draw on a range of audio testimonies about the environment from our ground-breaking Dementia Diaries project. We can learn much from such testimonies. For example, that some people prefer (and indeed find it much easier) to live alone. That noise is a huge issue for many. That simple home-made adaptations can be just as effective as ‘trendy’ expensive ones. That people with dementia can and often do come up with their own solutions – they may just need a bit of help with the practicalities of putting them in place. And that the design of contemporary systems – such as transport, benefits applications, online booking, and call centres – can serve to exclude or include them from society. It’s also obvious that most of our buildings are not new and can never be ‘state of the art’. However, that doesn’t mean that we can’t ‘tweak’ the design to make it more accessible. One of the most effective ways of assessing the strengths and weaknesses of an existing environment is to do a ‘walking audit’ with a group of people with dementia. This always throws up many issues that those of us who are not living with dementia have simply overlooked. Of course, half a dozen people will all have different perspectives – and they cannot be representative. So their observations and reflections are best supported by the use of the two checklists (for inside and outside spaces) which have been co-produced with groups in the DEEP network – and which also bring in research evidence from such experts as Prof Mary Marshall. So what’s my key message? It’s that good design must recognise the human right to accessibility and the social model of disability; it must follow the ideas of people with dementia (not lead them); it must simplify not confuse… and above all, it must have as its ultimate aim the breaking down of societal barriers to exclusion. By Philly Hare, Director, Innovations in Dementia. In the disability field, it is increasingly the case that people who use services, rather than professionals, have control over the research process. They plan and undertake research, and interpret the findings. In the ‘dementia world’, DEEP – the UK Network of Dementia Voices which iD hosts – is growing rapidly and now comprises almost 100 involvement groups of people with dementia. We have realised for a while that DEEP provides the potential for a new approach to research delivery that is led bypeople with dementia. Within DEEP people with dementia are already acting as researchers (even if not defining themselves as such) e.g. by: identifying research priorities, testing out methodologies to collect data,and analysing data to produce conclusions. 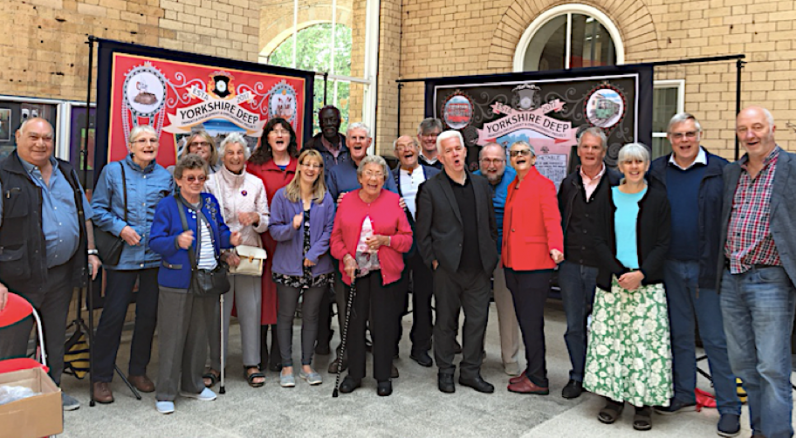 One great example is the ‘Our Right to Get Out and About’ project which involved three Yorkshire DEEP groups (see photo). We’re keen to explore with DEEP how research knowledge is acquired and applied in a way that feels relevant to people’s own lives, rather than being purely driven by the academic research agenda. In other words, to develop an alternative research involvement framework. So we are thrilled that the BIG Lottery Fund has awarded us over £700,000 to kickstart a ground-breaking new initiative, ‘Dementia Enquirers’. The aim of the 3 ½ year project is to develop a new approach to research, or ‘enquiry’, that is led and controlled bypeople with dementia themselves.We will support groups to identify research priorities,and, helped by small grants,to plan and undertake their own research. The project will also explore with people with dementia the lessons that emerge from their work, and this learning will be widely shared. University researchers and others may be involved as advisors, or have specified roles within the projects. Rachael and Philly will be co-leading this work. We are so proud to have been awarded the grant, and excited to be undertaking such ground-breaking work. We are confident that the project can influence the prevailing approaches in research – while bringing new respect for the skills, expertise and resilience of those who are living with dementia. For more information contact Rachael on 01392 420076 or rachael@myid.org.uk. I have just spent about 18 months as a director of Innovations in Dementia (iD). 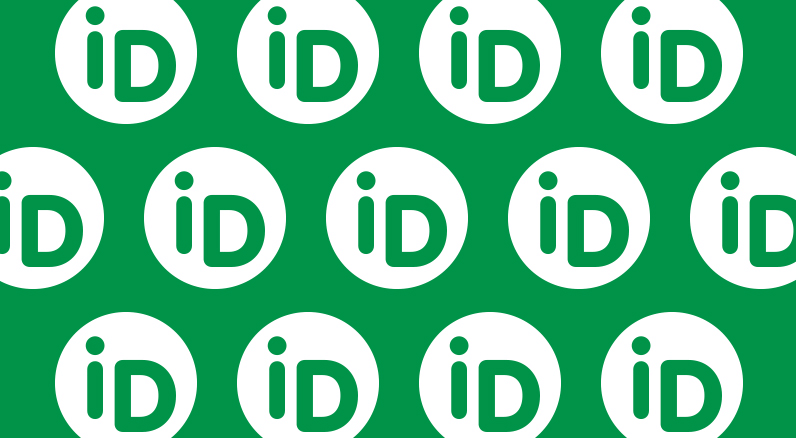 iD has just completed 10 years – of doing what it says on the tin. I wasn’t there at the beginning. Instead I was searching for the right fit. Coming to Innovations has been like coming home. This, however, is not meant to be a self-indulgent iD love in. Instead I want to share some of the questions, experiences and reflections I’ve had over the years in my journey that have brought me to where I am today. I spent some time in community in Mexico and Honduras working, laughing, crying, living alongside young people with a disability, many from situations of abandon, marginalised in a predominantly ‘machista’ society. So, I was working with people with a cognitive impairment on the margins of society, seen as a burden, and measured and labelled in terms of what they can’t do – No change there then! 20 years later I’m doing the same. The Spanish word most often used to describe the people I lived with was ‘minusvalidos’ – it literally means ‘Worth Less,’ revealing a societal attitude that required a counter cultural approach. Let’s not kid ourselves that this is a problem of so-called less developed countries because 20 years later my aim now (as it was then) is to celebrate the fantastic contribution individuals can make within their close relationships, within their communities and society at large; to highlight the gifts, potential and rights of people to belong, to grow regardless of any label. Daily contact and living full time with and alongside this marginalised group fuelled the message we wanted to share. 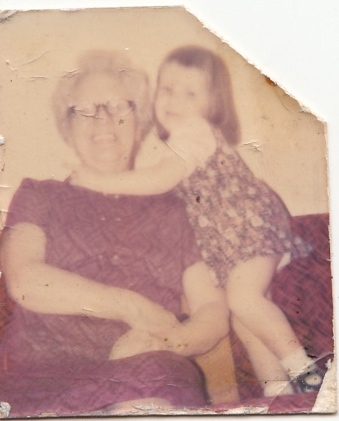 Back in the UK my nurse training spoke of Normalisation and Unconditional Positive Regard; of Professional Boundaries, when the people I met were just asking ‘Will you be my friend?’ Work in dementia involves a daily human encounter that too often we are pressured to ignore. I remember running a carers information programme in Lincolnshire – and was stunned to receive a letter from Richard, a gentleman with dementia whose wife was on the course, demanding he have the right to attend or to receive similar input. – It was the start of a Forum for people with dementia, which we enjoyed calling the Stirrers’ group. (would have made a great DEEP group!) That fuelled so much of my work and I grew ever more uncomfortable with my one-sided job title ‘Carers’ Support Coordinator’. Training was my thing and I joined the Alzheimer’s Society education and development team. I remember on my very first day feeling completely cut off from the reality of life of people living with dementia in community. My fuel tank would soon run dry. I even spent time working within the long term care sector. Surely contact with real people would fuel my work again. The clear messages that people gave through their words actions and through my observations was largely unheeded. Tokenistic involvement at best prevailed in residents’ ‘committees’ within an environment too often focussing on risk aversion and a perverted idea of the meaning of security (security of locked doors over the security engendered amongst residents of feeling ‘at home’). Within a large organisation nowhere near ready to EMBRACE any sort of inclusion, I was deluding myself I was making a difference. A colleague and I reflected recently on what might be behind the internal gatekeeping that many people possess. 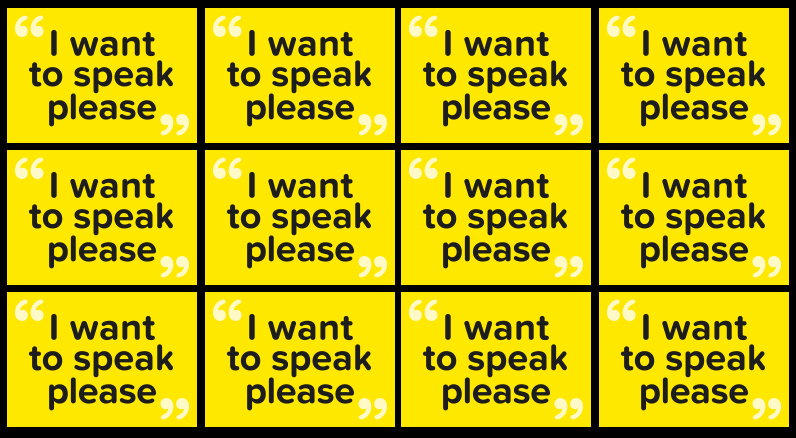 ‘OK I’m all for inclusion, but not really sure that person has much to offer, or this person is really capable of contributing’ – Is that the voice in your head? I have to be honest it has often spoken to me, but I knew I needed to re-focus on the real lives of people living with dementia. I helped set up York Minds and Voices, now an established group of peers within DEEP the uk network of Dementia Voices. The more time I have spent with people with dementia that internal gatekeeper has shut up! I still encounter people who are surprised at the contribution that people with dementia can make; and they wonder how it can be done, but if you don’t immerse yourself you won’t realise how easy it is. You will see problems and inconvenience (that internal gatekeeper) and feel a heavy burden about having to tick a box. Real contact and building relationships with people with dementia fuels new and simple ideas. Over the last 18 months at Innovations in Dementia I feel I have thrived being involved directly or indirectly in – The growing DEEP network; the greater inclusion of people with dementia not as research subject but as co-researchers; creation of practical suggestions to help put the meat on the bones of what is now the new Welsh dementia strategy; contributions to the new NICE draft guidelines; the piloting of relationship-centred approaches through the Getting Along programme; the provision of an expanding platform to capture raw and real experiences of people through Dementia Diaries; supporting and leading plenary sessions at UK and Scottish dementia congresses; offering real examples of co-production through the Good life With Dementia course where people with dementia are course designers and course tutors. There are fantastic projects around, and there is a real movement to properly include people in design development and delivery of services – but the inconsistency I encountered kept me moving. iD has just completed 10 years – of doing what it says on the tin. I wasn’t there at the beginning. Instead I was searching for the right fit. Coming to Innovations has been like coming home.